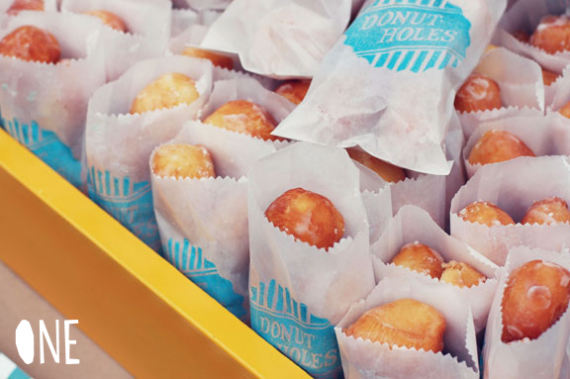 Juneberry Lane: Delectable Doughnut Holes: Do-It-Yourself Deliciousness . 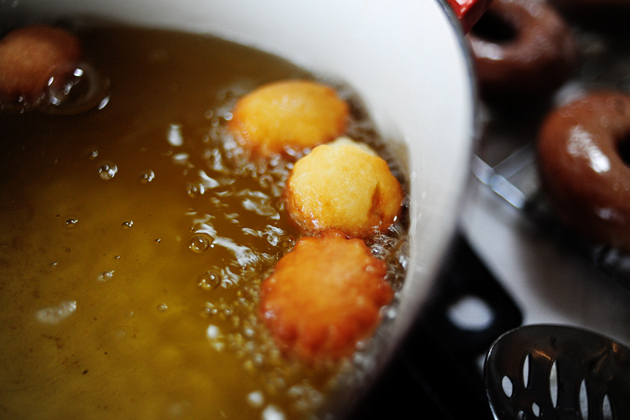 . .
Delectable Doughnut Holes: Do-It-Yourself Deliciousness . 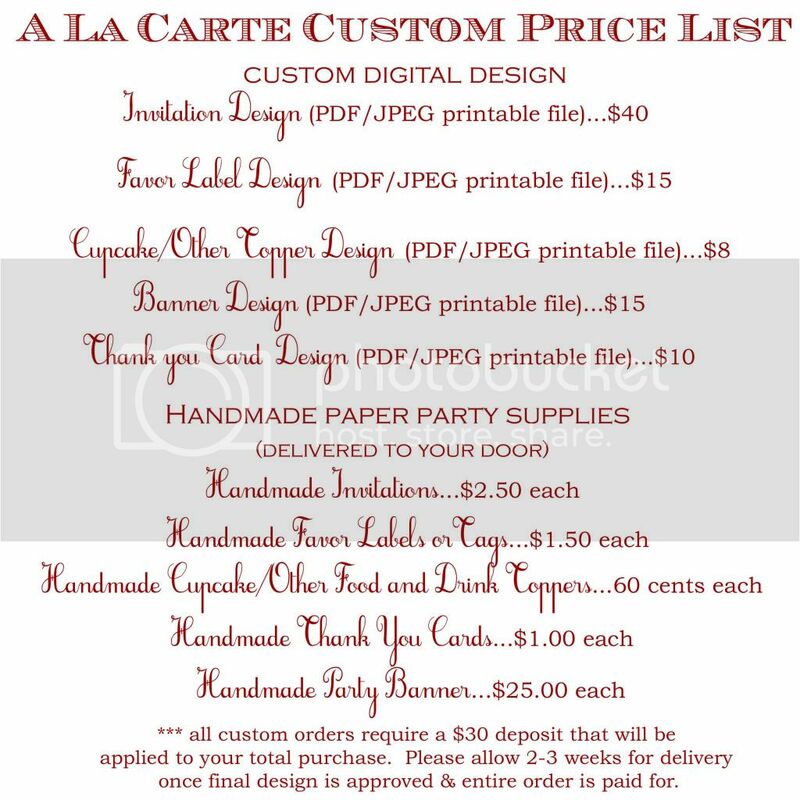 . .
Well I certainly couldn't show you yesterday's fantastic 'Coffee & Dessert Tasting Housewarming Party' and then leave you without a way to make a few of your own little round bites of yumminess. 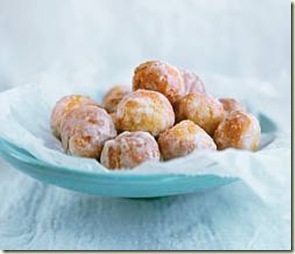 And these sugar-glazed doughnut holes make the perfect addition to those steaming mugs of coffee that you will, of course, be serving at your next brunch! 3. 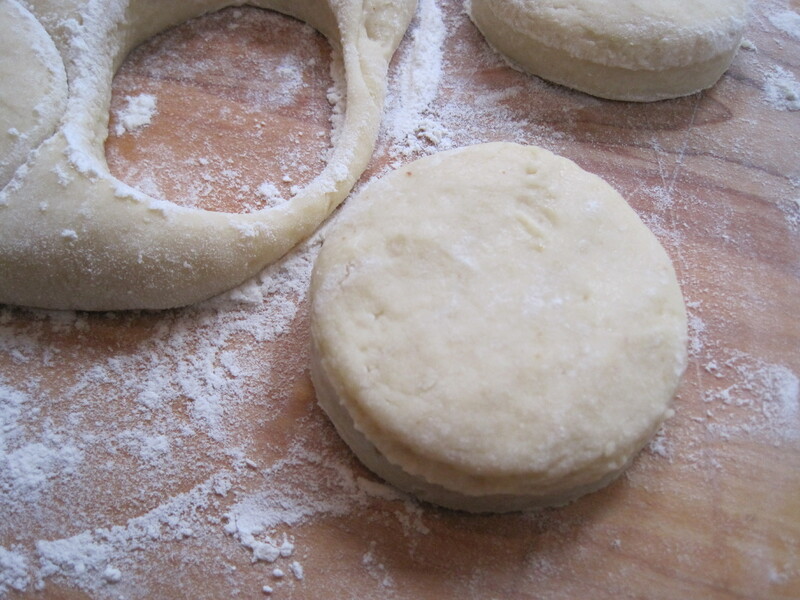 Place the dough onto a lightly dusted work surface and roll until 1/2-inch thick. Using a 1 1/2-inch round cookie or biscuit cutter, cut dough into 48 round doughnut holes. 4.) Pour oil into a heavy-bottomed saucepan to a depth of 3 inches. Heat to 375°F (190°C). 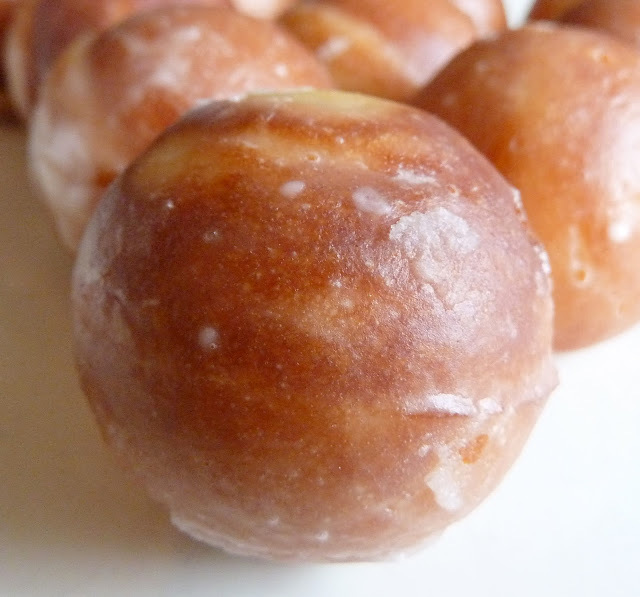 Fry doughnuts in batches until golden brown, about 45 seconds per side. Now you can do that, right? 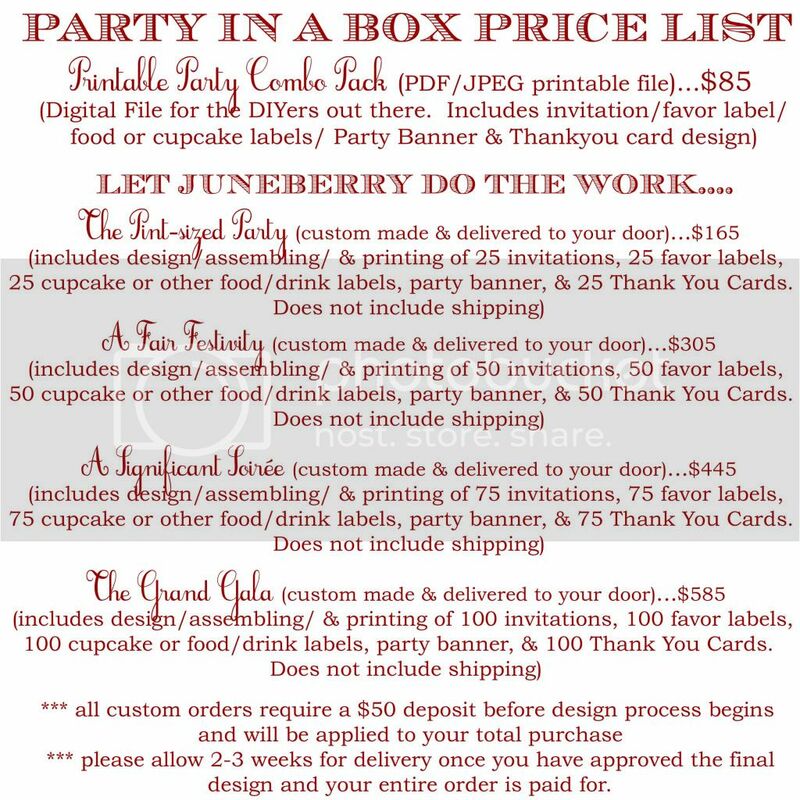 And now that you are a Doughnut Diva, think of all of the fun you can have . 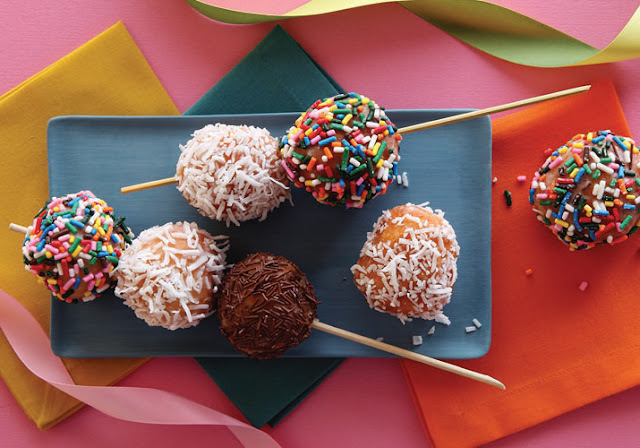 . .
Um yes, that is a donut hole BAR. Amazing. Well heck, why not make a 'Hole' Cake . . .
Oh my, how much fun are all of those? Hole-y Moley! !